For the first time, a scientist delivers an astonishing announcement at a major scientific conference that radio signals of extraterrestrial origin are being sent towards our solar system! 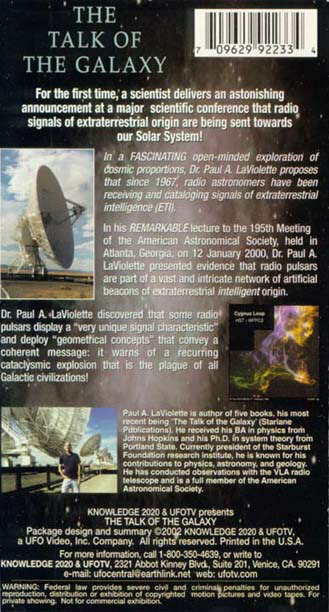 In a fascinating open-minded exploration of cosmic proportions, Dr. Paul LaViolette proposes that since 1967, radio astronomers have been receiving and cataloging signals of extraterrestrial intelligence origin. 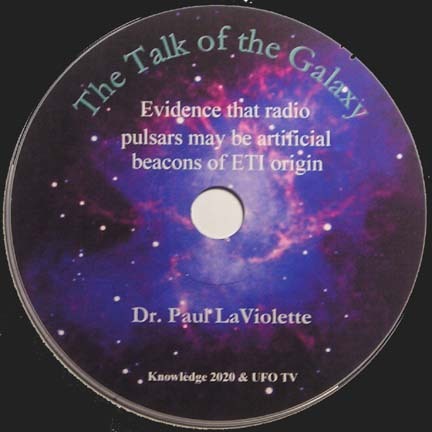 In his remarkable lecture to the 195th meeting of the American Astronomical Society, held in Atlanta, Georgia on 12 January 2000, Dr. LaViolette presented evidence that radio pulsares are part of a vast and intricate network of artifical beacons of extraterrestrial intelligent origin.